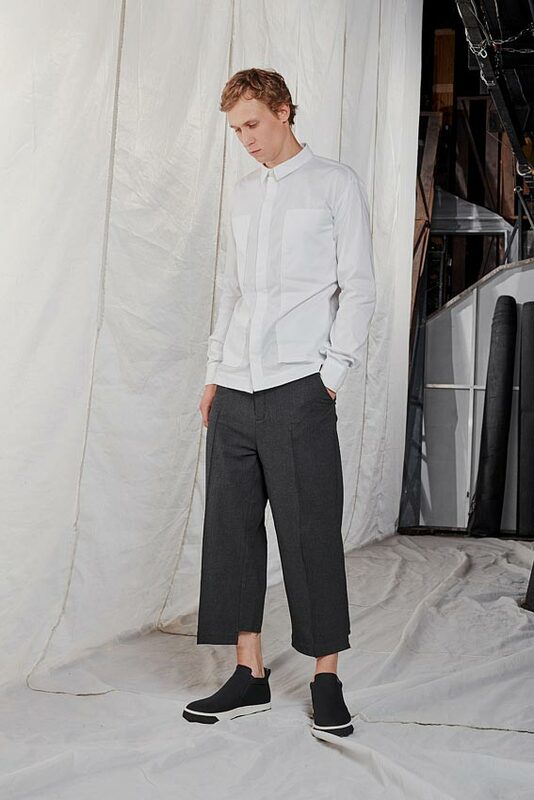 Minimal straight cut cropped classical trousers. The bottom of the trousers is shorter in the back. Trousers have two pockets in front.